A packet containing six square handmade soaps for daily use. 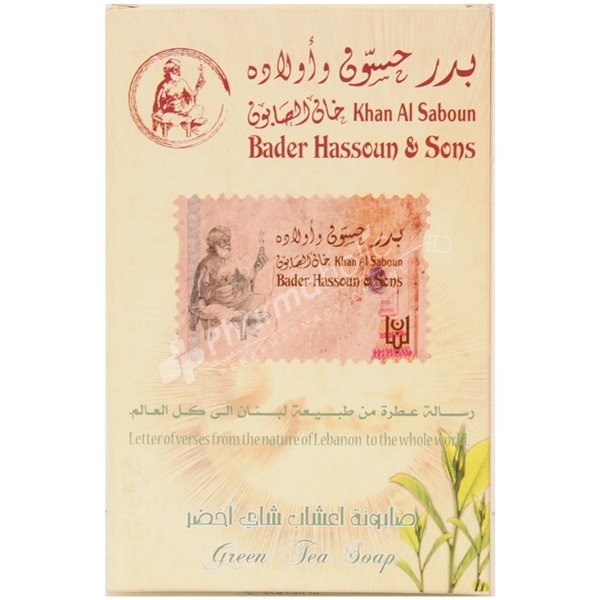 The Pure Green Tea smell makes it very special and rich with charming scent. It is one of the most important components used to treat skin, to whiten it and to protect it from acne for green tea and sage contain many antioxidants that delay aging signs and maintain skin youthfulness and beauty.